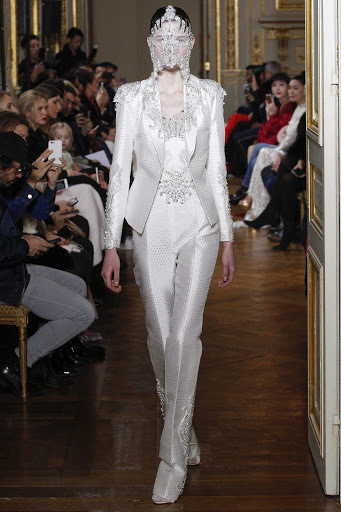 Scognamiglio said he dedicated the show to the memory of Princess Diana. 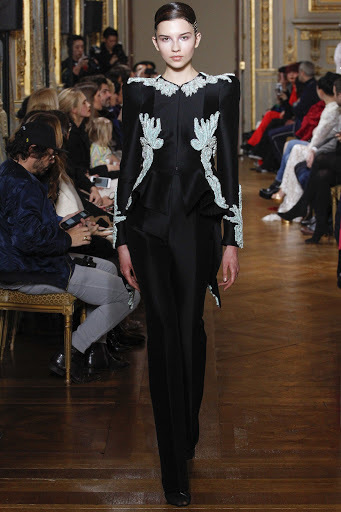 According to the designer, they met in 1994 when he was working at Versace. Love. I've already envisioned England’s premier royal in his tuxedo with its shoulders, asymmetrical peplum, and seafoam beading. 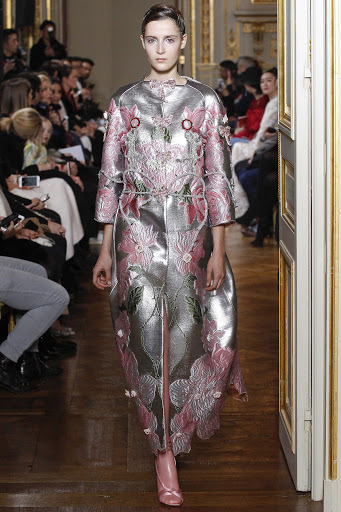 He also seems to have channeled Diana though new floral applications; both the oversize embroideries on the silver jacquard coat and the digitally printed flowersoffer fresh updates to the couture repertoire. Such a young line yet so established.